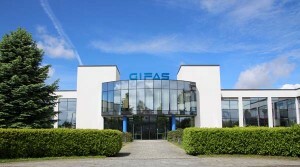 Part of the GIFAS corporate strategy is a permanent and consistent quality policy. The integration and constant internal communication in the GIFAS group leads to product innovations from which our customers benefit. We see ourselves as a traditional service provider and always consider your requirements and needs from the planning and consulting stage, through development and manufacture, to documentation and planning. In this way we create your individual product. We put customer satisfaction, along with safety and conformity with the existing regulations, to the fore. The name GIFAS stands for consistently high levels of quality. In order to guarantee this in the future, we are one of the first companies to be structured and certified in accordance with the new standard DIN EN ISO 9001. We have also introduced an environmental management system and are DIN EN ISO 14001 certified. We can therefore guarantee you reliable products with even more certainty! Our qualified sales team in internal and external sales looks after our customers across the whole of Germany. Our customers come from practically all branches including construction, industry, suppliers in machinery and equipment manufacturing, as well as the public sector. You can only be successful if you develop, encourage and train your staff. Therefore, we place immense value on our corporate culture’s positive attitude. The 280 GIFAS Group employees across Europe work daily to ensure a that they are targeted to meet your individual customer requirements quickly and competently. They receive regular technical training to make sure that they are constantly able of dealing with the challenges of the market.